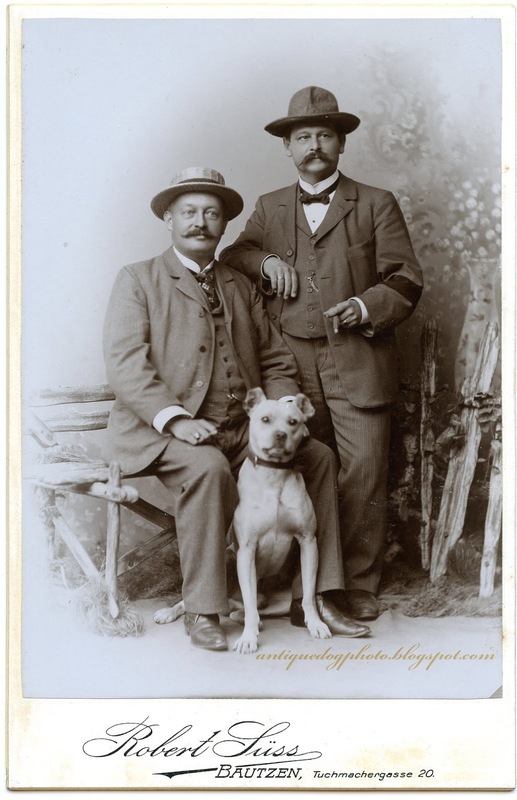 This photograph features an early version of a Pitbull type dog. As you can see the dog has extremely well-defined muscular body. We can but only speculate on this dog's personality, and its highly likely he wasn't as fearsome as he appears.